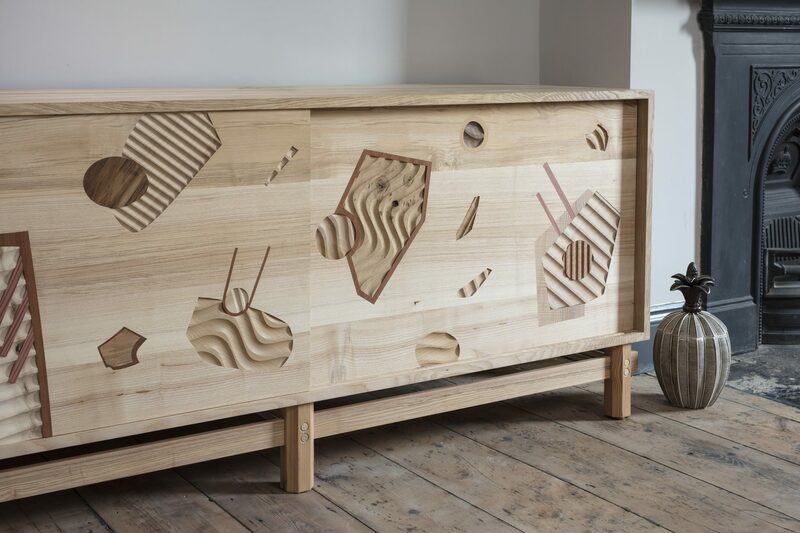 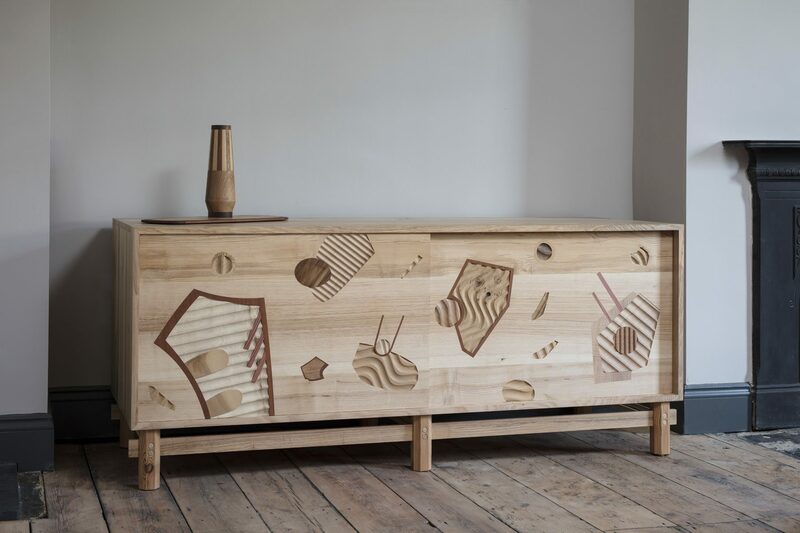 One of two spectacular headline pieces that launched our ‘What Lies Beneath’ range at Design Junction, a high-end collection of legacy furniture that celebrates our love of challenging precision work as well as the extraordinary timbers we’ve collected around London. 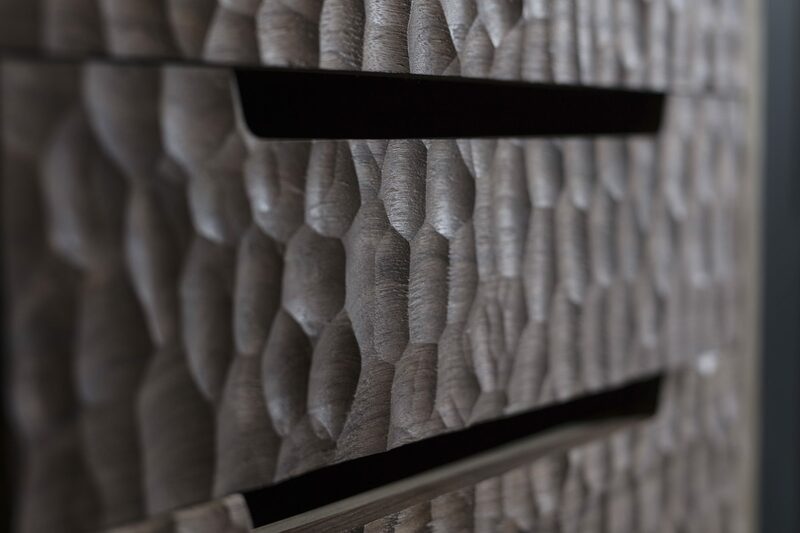 Decorative inlay allows abstract patterns and topographic reliefs to build. 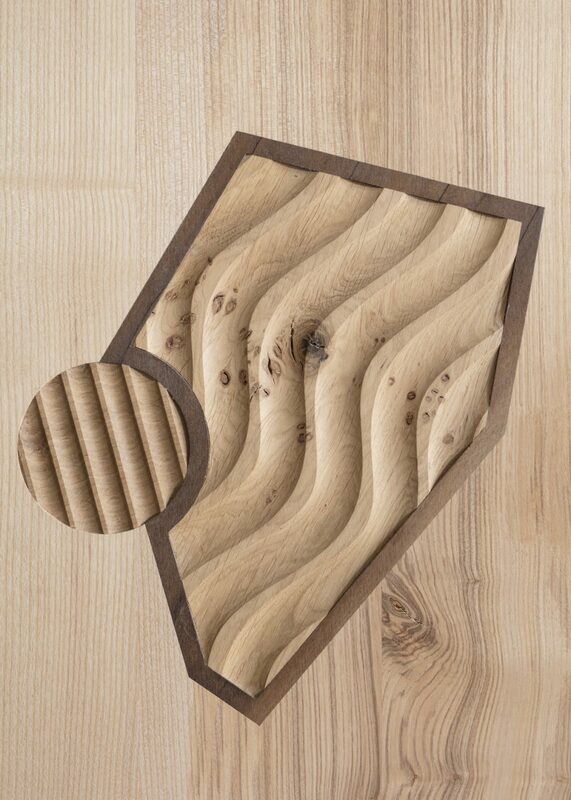 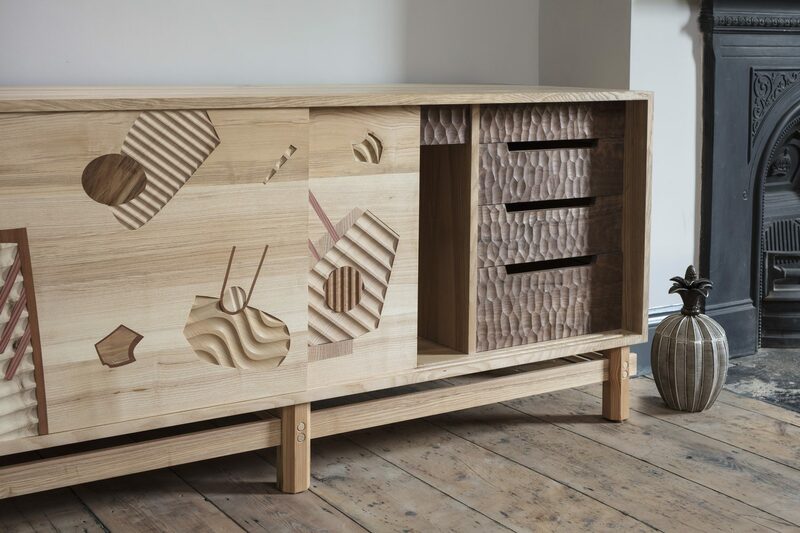 What results is a poetic juxtaposition between shapes, textures and woodgrains. 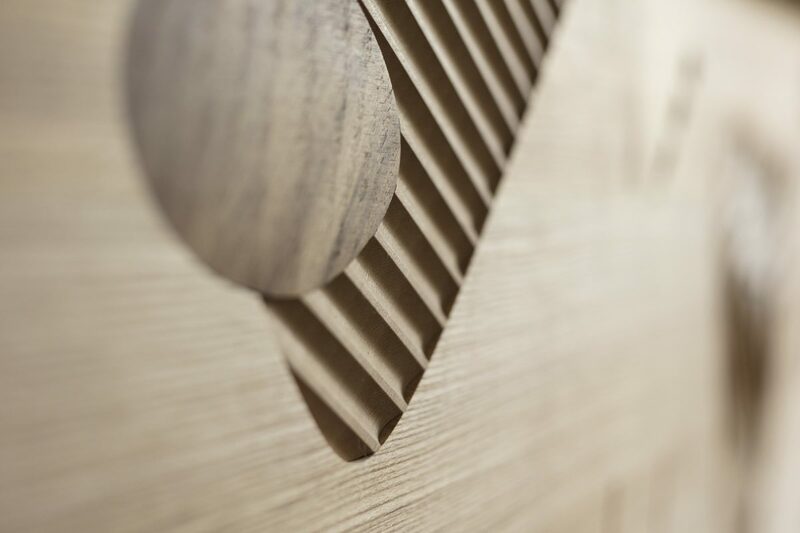 It featured as one of Dezeen Magazine’s highlights across the whole of London’s Design Week 2017. 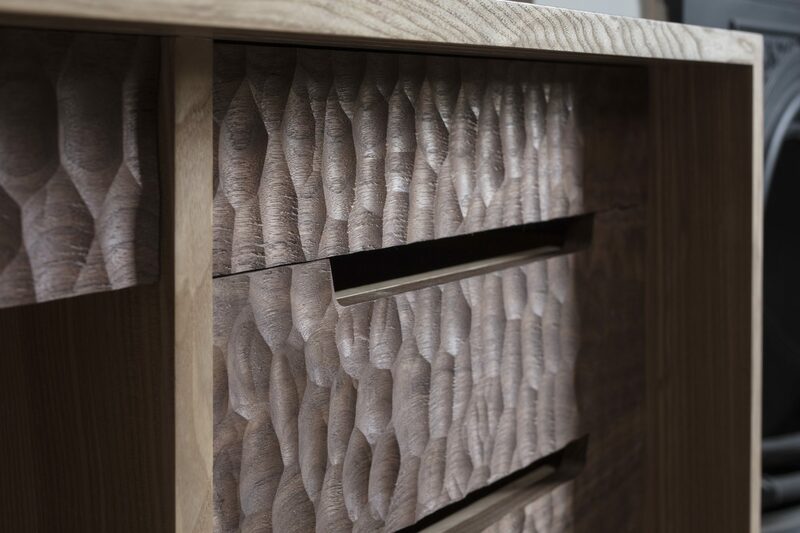 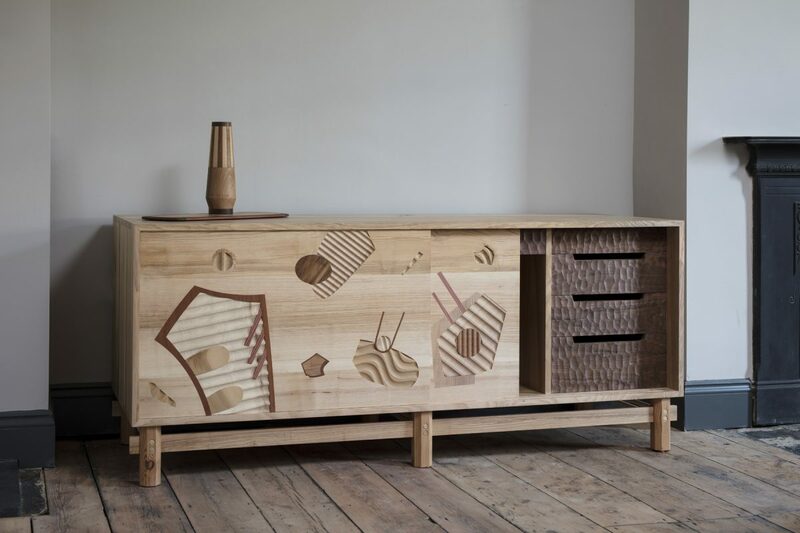 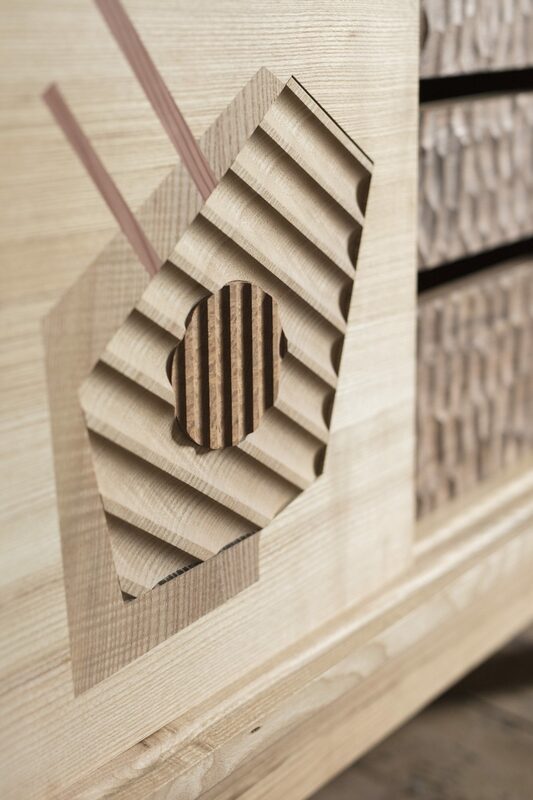 Highlights include hexagonal profiled legs, intricate marquetry, mitred and finger jointed carcasses, hand carved drawer fronts and hidden handles. 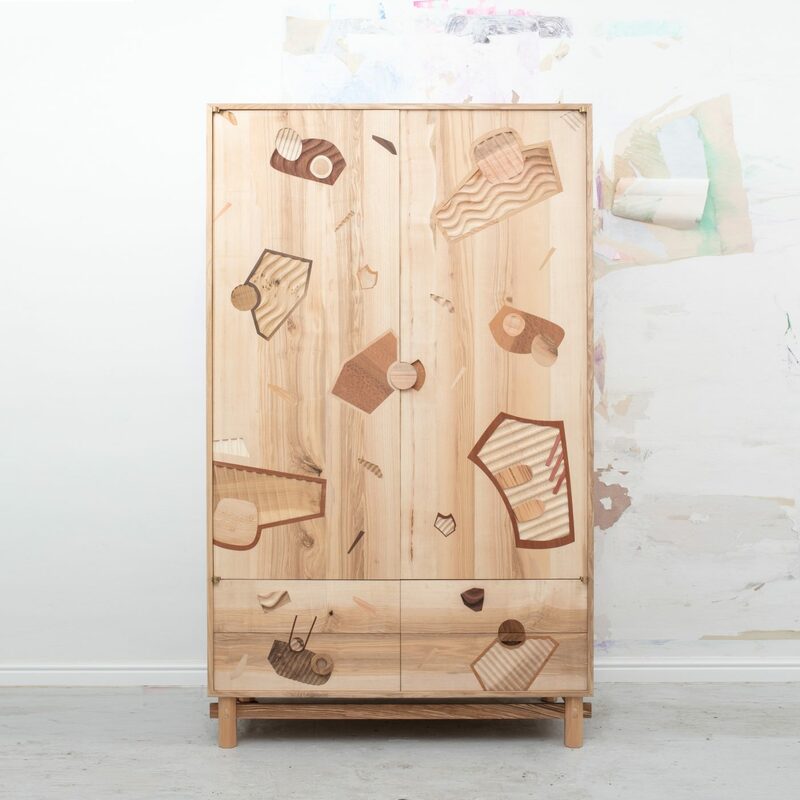 It features 7 drawers, 3 adjustable shelves and 2 sliding doors. – Ash carcass, Douglas fir base, black walnut drawer fronts, inlays from a wide variety of timber.